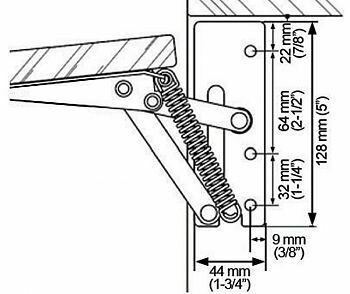 Spring Loaded Lift-Up Flap Hinge includes left and right hand mechanisms. Swings door up automatically when lifted and is securely held open. 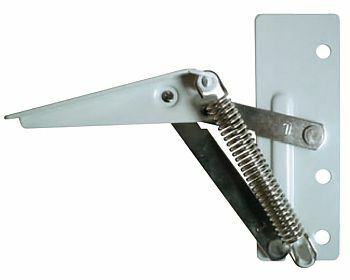 Features 75 degree opening and keyhole mounting for doors. White epoxy coated with chrome arms and spring. Weight capacity: 39 lbs. (18kg) / pair.